Covering Cranbrook & the surrounding places. A full-service 24/7 Pest Control Service (including Emergency Pest Control). At Pest2kill the team of dedicated pest controllers will provide a professional, efficient and effective service, risk assessing your home or business to ensure that all treatment recommended would be without risk and environmentally friendly. Pest2Kill’s outstanding levels of service, combined with its clearly displayed economical pricing has made us a front runner in Pest Control throughout Cranbrook, Essex & London areas. 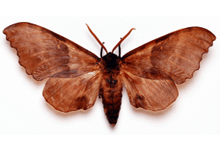 Providing effective extermination & removal of unwanted pests to your home or business. 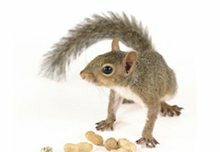 Pest2Kill Pest Control Services are your first call for all your Pest Control requirements in Cranbrook, Essex. Operating across Essex and London, and regularly assisting home and commercial clients in Cranbrook. We’re open 24/7 for all your Pest Control Problems. Pest infestation is becoming more prominent throughout Great Britain, with both residential and commercial properties being affected. Pest2Kill provide both our commercial clients and residential customer’s specialist advice and help to remove, eradicate or prevent unwanted pests. Pest2kill offer a range of services, whether it be one-off treatments, prevention advice or contract work to both commercial and residential clients where we tailor our services to your Pest Control requirements. In Cranbrook, Essex we’re the premiere Pest Control Specialists, offering a competitively priced, 24-hour pest control service, on call for all your Pest Control problems. Pest2Kill offer a no-obligation FREE quotation for Pest Control in Cranbrook, use our enquiry form to request a free callback, we are always happy and available to discuss your problem and have solutions for all types of problems. Eradicate your pest problems now.